The tiny Greys Pub in Hanover has a very long history of putting on some great gigs by well known artists. There was a period a year or so ago when the old manager left and it looked like the pub might go the way of so many others and close, but fortunately the new management have not only kept it going, but reinvigorated this tiny intimate venue and given it a new lease of life. 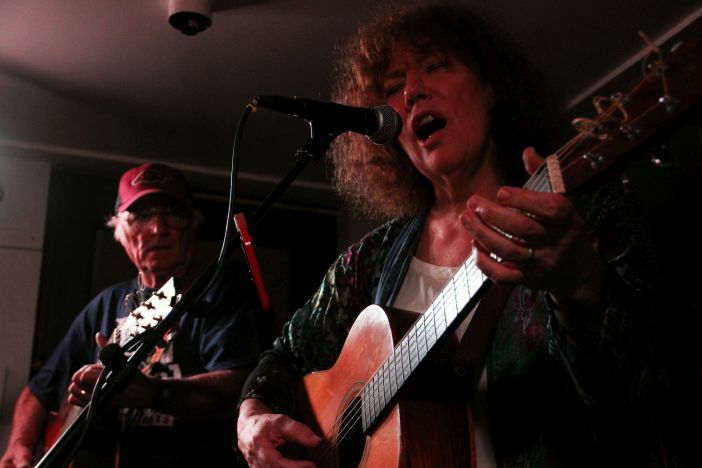 The pub’s been putting on an array of gigs, including both the classic folk and touring artists it’s been known for as well as local acts. 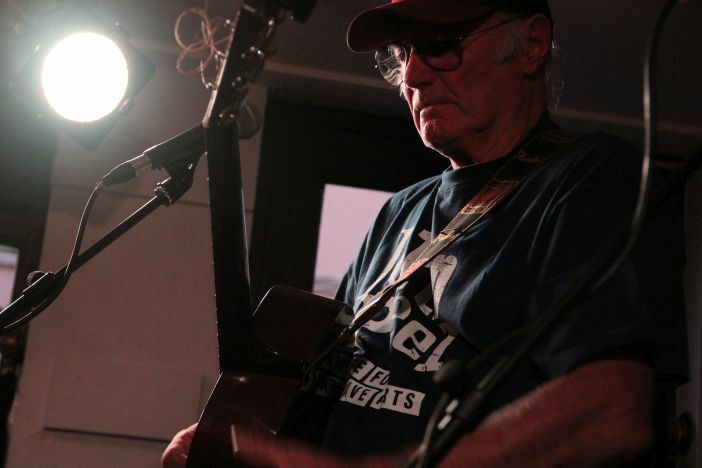 On Monday night the Greys played host to the legendary Bridget St John, supported by the more frequent Brighton visitor Michael Chapman. Chapman recorded his first album in 1969, the legendary ‘Rainmaker’, listed in the NME by the Arctic Monkey’s Alex Turner as one of the albums you have to listen to before you die. He has been a frequent visitor to this city in recent years and his sets are always unpredictable but often astounding, with his virtuoso guitar-playing at times likened to John Fahey and his songwriting up there with the best. Tonight was more of a sloppy set with his guitar-playing possibly affected by the sweltering heat of the tiny room. Nonetheless, Chapman drew on songs from throughout his career, including the beautiful ‘Soulful Lady’ from his excellent 1970 album ‘Fully Qualified Survivor’ to ‘Dewsbury Road’ from 2008’s ‘Time Past Time Passing’, and the “Pot-bellied ferret” (his self-depreciating phrase) peppered his set with stories from his long career and a variety of witty anecdotes. Bridget St John was an important player in the late-1960s London folk set. 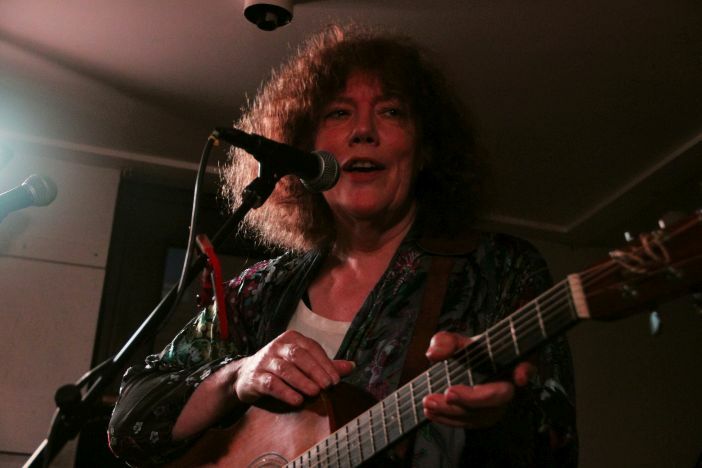 Friend and sharer-of-stages with the likes of Nick Drake and John Martyn, she was also much admired by the late John Peel who signed her to his Dandelion Records label. 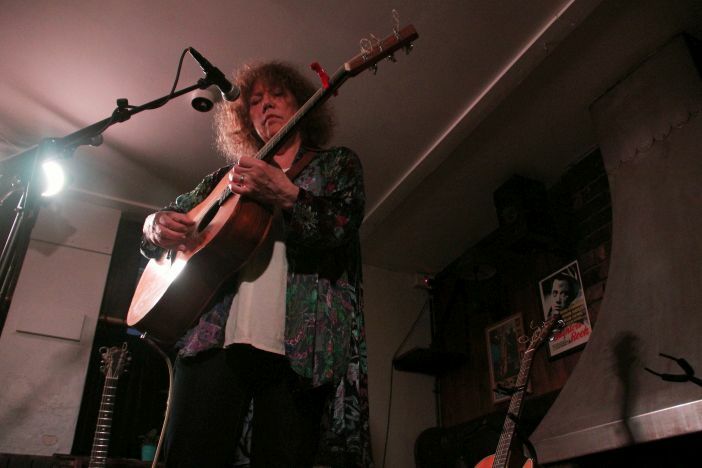 She recorded three albums for Peel and one for Chrysalis and then virtually retired from music in the mid-1970s, moving to New York’s Greenwich Village and making only very occasional live outings since then. Tonight was a rare sighting in the UK but an absolute delight. Bridget St John’s guitar-playing was brave and confident and her voice sounds better now than on her original albums. 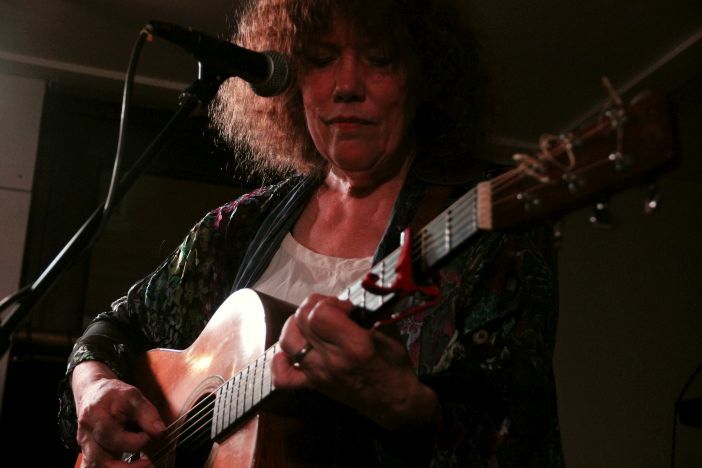 She began with a song I didn’t recognise called ‘Castaway’, but her second song was one she said she’d spent 40 years trying to perfect and she really did nail it – a gorgeous reading of Dylan’s ‘Just Like A Woman’, sung from the woman’s perspective. From there on in, we were sold. Her set included a French song ‘Papillon’, classics like ‘Ask Me No Questions’, modern self-penned numbers like the beautiful ‘Look At This Child’ and an array of excellent covers of Joni Mitchell, Terry Hiscock and John Martyn. 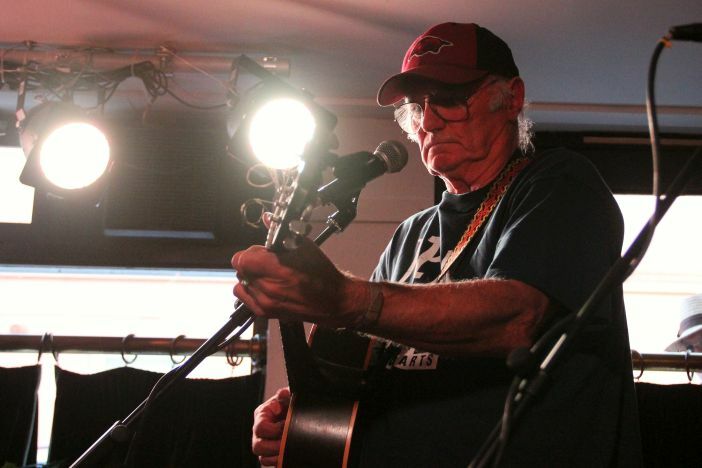 Michael Chapman, whose ‘Rabbit Hills’ she also covered tonight, joined her for the last few songs, ending with a fabulous version of ‘If You’ve Got Money’. It was a real treat seeing St John live and there were probably few in the audience who had seen her play in London in the early 70s but it’s hard to imagine she was better then than she is now. This gig didn’t need advertising before it had sold out and the venue is so small that is often the case. This was only one of the many excellent gigs featured at The Greys and it is well worth checking the pub’s Facebook page on a regular basis.